Two 4-man teams. 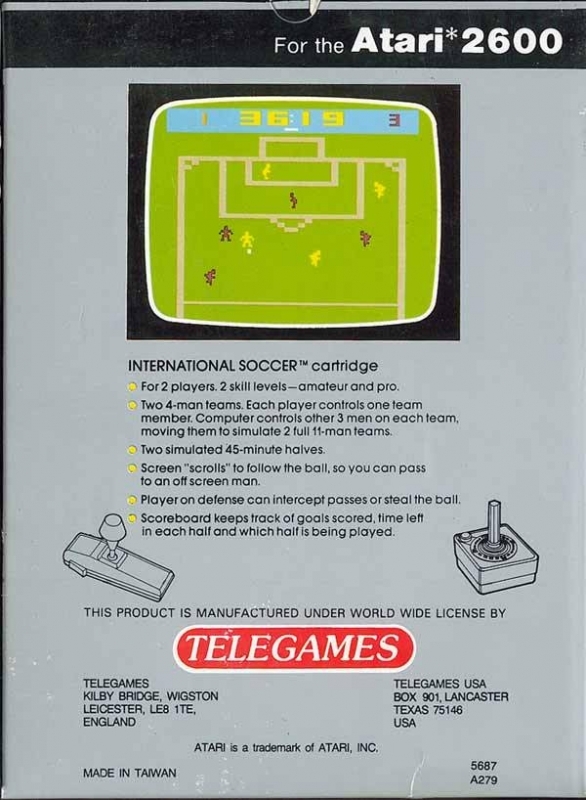 Each player controls one team member. Computer controls the other 3 men on each team, moving them to simulate two full 11-man teams. Two simulated 45-minute halves. Screen "scrolls" to follow the ball, so you can pass to an off-screen man. Player on defense can intercept passes or steal the ball. Scoreboard keeps track of goals scored, time left in each half and which half is being played.